I held him close and considered my answer as I walked us carefully down the stairs. He in his pajamas and I in my church clothes, ready to leave for the temple while Charming stayed home with the kids. “Oh,” he replied sweetly, with his wonderful, chubby arms wrapped around my neck and his warm cheek still pressed to mine. I smiled and held him tighter. I got up early this morning and went to the temple while the sun was still rising. And for the first time ever, I was by myself! I’ve always gone with Charming in the past, but recently we decided to start going by ourselves as we’re able. That way we can go even before Baby is old enough for a sitter. So, I went today and I missed having my husband with me. 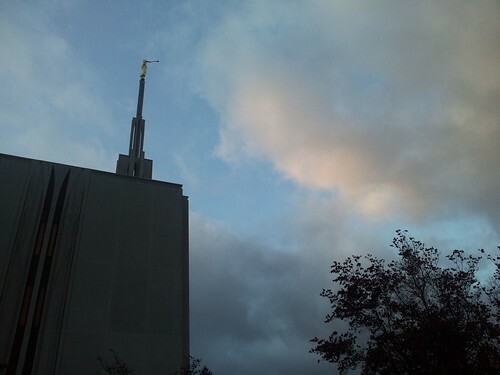 But it was so wonderful to be back at the temple. I hadn’t gone since before Baby was born and I really needed it. Since I was by myself, I was very quiet and attentive to everything. 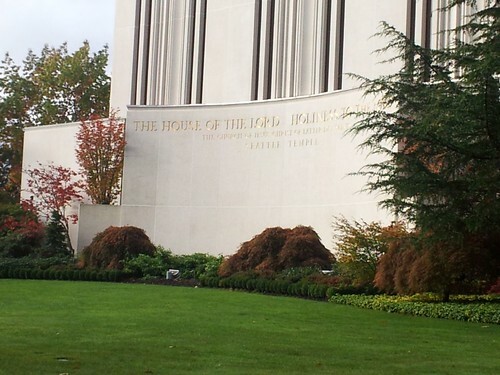 Just as I anticipated, I felt different the moment I drove onto the temple grounds. The presence of the Holy Ghost was unmistakable and I just soaked it in like a long-lost, treasured friend. 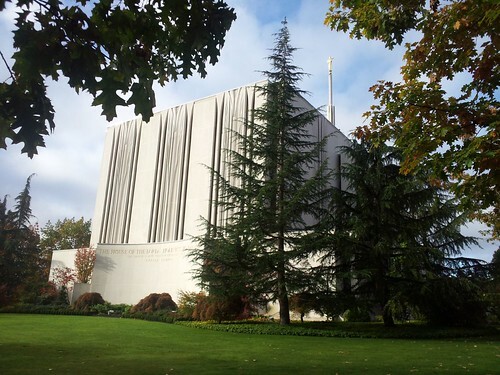 I love going back to the temple after a hiatus, because then I appreciate it more. 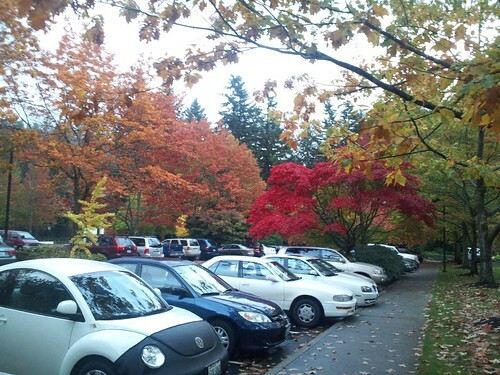 I couldn’t stop smiling as I breathed in the cool, moist air of early morning and admired the gorgeous fall colors. It was heavenly. While I was inside the temple, I thought a lot about my family. I thanked Heavenly Father for my husband. For Brother. And Boots. And Baby. I thought about how much joy my posterity brings me. And how much I want to be with them forever. I also thought about my physical body. What a gift it is. And how much I hope to be able to have more children with it. At another time, I realized how easy it was to feel love for others when I’m inside the temple. It’s like I shed all the worries and cares of the world and my eyes are able to see only the good in others. It was so refreshing. I loved it and wished I could be there with my parents. And my siblings. And Charming’s parents. So we could feel that heavenly bond of love and eternity. 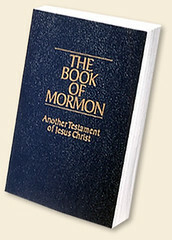 Then I decided that when my children are grown and married, I want to go to the temple with them when we go to visit. I want to see my children and their spouses with my temple eyes. And feel that glimpse of heaven together. When I went home afterward, my heart was still full of love and joy and my temple eyes lingered. I was so excited to see my husband and sons again. As Boots came running up to me with bright eyes, I remembered his question from earlier. And as he excitedly told me, “Come, Mommy, come!”, grabbed my finger with his adorably chubby fist, and then led me to Baby and Daddy hiding in the corner, I remembered my answer. I do love God. And when I go to the temple, I do feel closer to Him. “Temple eyes” is the perfect way to describe the protection and the peace that comes and then lingers after going to the Temple. Love it! This was so sweet.